9678-DST is rated 4.5 out of 5 by 17. 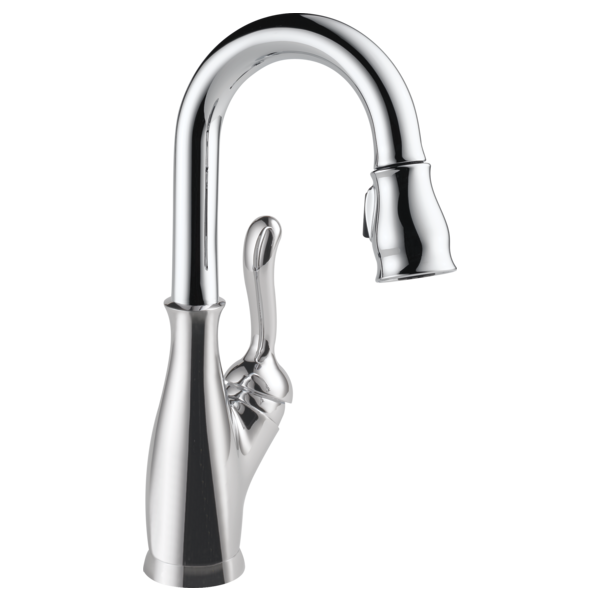 Rated 5 out of 5 by MMM from Delta Bar Faucet I love the look and the finish of this faucet, along with detachable sprayer feature is great. Rated 5 out of 5 by Genol from Absolutely Love It! We love our new kitchen faucet. Simply touch it anywhere and you have water instantly, touch again and it's off. Imagine my hands full & dirty, my wife walks in and sees me use my forehead to turn the water on!!! Don't laugh, it works and the faucet remains clean! Easy to install, very sturdy, well built. I purchased the AC adapter. You'll love this faucet. Rated 5 out of 5 by SCRobbi from 5 stars Really nice quality & very happy with our purchase. Like the height and angle of the neck for a bar sink. It isn't small which makes a nice statement in our kitchen. We have the kitchen sink faucet that coordinates with the bar/prep faucet. 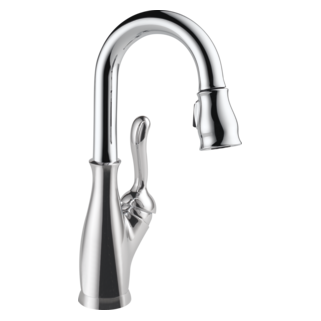 Rated 5 out of 5 by NewConstructionHomeowner from Great Delta faucet I purchased this faucet for the snack bar area in our basement's family/rec room. It is the perfect size for the bar sink, the quality of the material is great, it was easy to install, and I LOVE the pull down feature. The color looks good with the other selections we made for our under-construction-home. Rated 2 out of 5 by JHutch from Looks good but ... Faucet squeaks when turned on or off after only months of use. Unsatisfactory! Called customer support and young lady was very nice and said she would out the part to fix it. Shouldn't have to fix a 2 month old faucet. 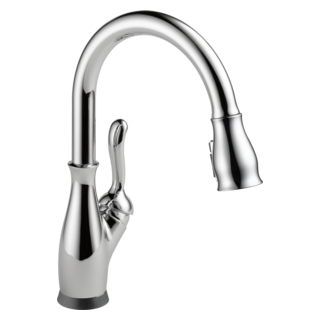 Rated 4 out of 5 by chuckk from great kitchen faucet very nice faucet, ease of operation, looks great, perfect size for my sink. they pull down works great, easy to cleanout sink ! 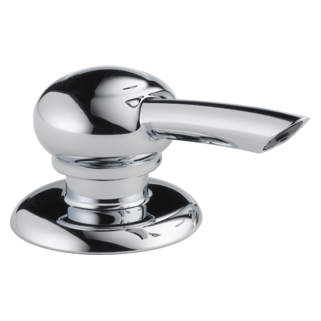 Are all the finishes in this line of product spot shield with anti microbial finish? Can I get this faucet before Dec 15th? How tall is this? Why aren't the dimensions listed on the specs tab? How far does the handle push back? We are installing this in a small bar area. The faucet will sit fairly close to the wall. I want to make sure that we'll be able to fully adjust the water temperature without the handle hitting the wall behind it. Thanks. We live in an area with a lot of minerals in our water. I would like to replace the entire faucet head piece; however, the tubes, faucet structure, weights and magnet are all fine. How can I go about ordering only a replacement faucet head?